Portugal! Sunshine, beaches, picturesque cities that blend the old and new, friendly people and prices that are lower than most of Europe. All this makes it a great destination for volunteer and internship programs. Don't speak Portuguese? English is the second language of a large portion of the population, and we've found that many businesses and volunteer organizations welcome English speakers. As the capital, Lisbon is the a logical choice for an internship; so much going on. From its historic European port, great food, more sunshine annually than any capital in Europe (edging out Athens), and beautiful panoramic views from its many hills, the quality of life makes it a great place to visit. You may never want to leave! In Portugal, over two million people are in danger of living in poverty, including 500 thousand children and their families. 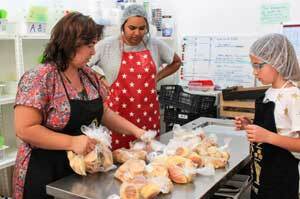 This program directly helps these families by giving them a decent home. We mobilize national and international volunteers to rebuild and repair their houses so they have a healthier and happier place to live. This kind of program is catching on all over the world. Volunteers will actively contribute to fight food waste and hunger in a structured system that feeds over 3000 people every day. You will help the local teams collecting, organizing and distributing the food excess from restaurants and cafés to fight food waste in the city. Take it from us, nothing is more fulfilling than working with kids to enhance and enrichen their education. Perhaps you remember visitors to your classes when you were a kid. Maybe a special teacher's aid. Even the best teacher can't make class exciting all the time! We work closely with a network of over 250 social and environmental organizations who fight daily for their mission. These organizations want to innovate and improve their ability to have a greater positive impact on the lives of the people they support every day. To achieve that, they are looking for the expertise, technical knowledge, international perspectives and dedication that international interns bring. Our role is to help connect students and recent graduates seeking to apply the skills they have learned during their studies, on meaningful projects with organizations who have those problems and would appreciate their support. It’s more and more important to be digitally connected, even for the social sector. The organizations we work with recognize the importance of taking advantage of the digital world and the potential of the technology to maximize the benefits for their beneficiaries, as well as to raise awareness of the public for the cause they are fighting for. There are internship opportunities for Web Developers in coding and optimization of the website of non-profits in Portugal. Some of the projects also require making their website accessible for people with disabilities such as blind or deaf users. Some of the opportunities also involve creating or restructuring databases, which can help the organizations to reach a wider audience in a more systematic manner as well as to improve their internal processes. We currently partner with 2 non-profits that give medical care to abandoned and mistreated animals. Interns and professionals in the field of veterinary medicine are welcome. In this program interns can practice in real clinic cases the skills they have acquired during their studies. The program is open to both current veterinary and vet-tech students as well as licensed veterinarians. Pre-vet students will be considered based on previous experience. 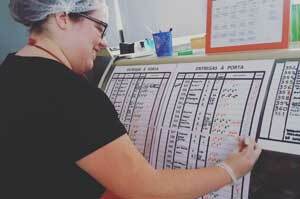 You will be working side by side with English speaking staff, and overseen by licensed veterinarians. It’s more and more important to be integrated into one of the most dynamic sectors in Portugal: the tourism sector. The social and environmental organizations we work with recognize the importance of taking advantage of their resources, know-how and infrastructures to maximize the benefits for their beneficiaries, as well as to raise awareness of the public for the cause they are fighting for. There are opportunities for tourism students to be responsible for helping our partners to develop their tourism business plan, improve their operational processes, create new programs based on the local reality of the partner, among many other tasks that aim at improving the financial sustainability of the institution. Programs require at least a two week commitment with a 3 month maximum stay. The accommodation is a guest house operated by a local non-profit organization. The default accommodation is in a dormitory with 7 beds with basic furniture and natural light. 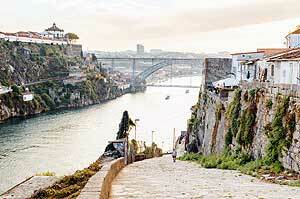 It is located in Vila Nova de Gaia, just one kilometer from Porto city center. There are small shops and restaurants in the area. All rooms have shared bathroom. There is a fully equiped kitchen for use of all the guests where you can store and prepare food as they wish. There is free wi-fi in all the rooms. You may upgrade to a private room for 20€ / day upon request and subject to availability. 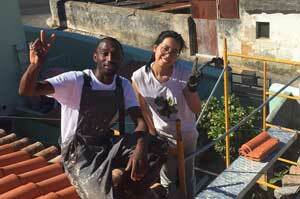 Interns are accommodated in a centrally located sustainable hostel. It has dormitory-style rooms accommodating from 4-10 participants (single gender) and private rooms are available for upgrades upon request. Bathrooms are shared. Bedding and towels are provided and changed regularly. Wi-fi is freely available in the hostel, and of course in many cafe's and restaurants. There is a big sunny terrace and big common areas for interns to relax and meet other people from all over the world-. This accommodation was specially chosen due to its sustainable concept that an integrated part of how this hostel works and the experience that you will have. 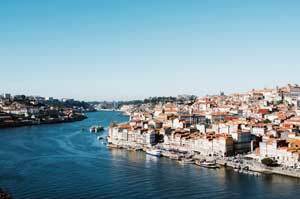 Wondering what Portugal has to offer? 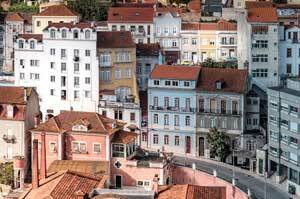 Take a look at our "Why Portugal" page.